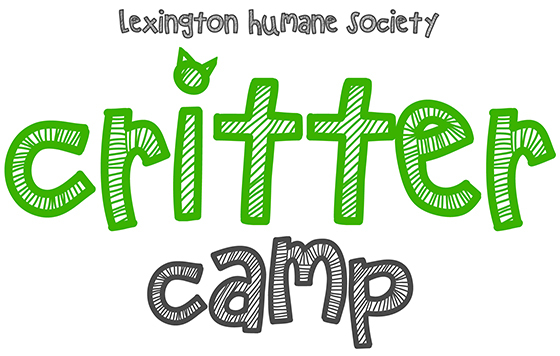 Critter Camp is a hands-on camp designed for children ages 6-11 who have a strong interest in veterinary care and animal welfare. Campers enjoy pet-related activities and an educational week with our staff and critters. Multiple guest speakers visit campers throughout the week, including visits from an officer from Lexington Fayette Animal Care and Control, a staff member from our veterinary department, and certified therapy dogs. If you have a child who wishes to develop their love and interest in animals, this is the camp for them! All camp sessions are 9am-12pm or 2-5pm and transportation is the responsibility of the child’s parent or guardian. All scheduled dates are finalized; switching weeks of camp will not be permitted. Sorry, we are not able to offer refunds. Scholarships are available on a limited basis. PLEASE NOTE: Peanuts and products containing peanuts are used throughout the LHS facility. Click here to view our Critter Camp FAQ!